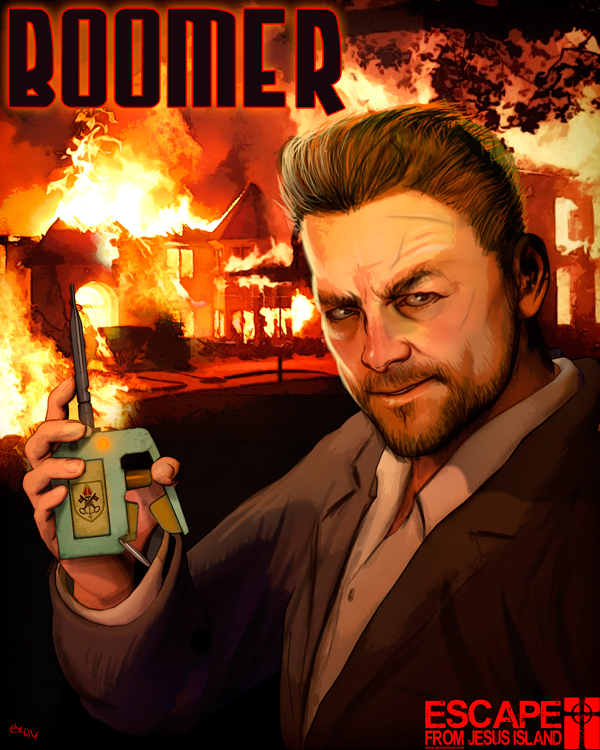 Raised on an Oklahoma farm, Boomer has been blowing things up with fertilizer bombs since he was old enough to break into his uncle Jed’s storage shed. In a desperate attempt to keep his troublesome nephew out of jail, Jed pushed Boomer into the military, which only made the problem worse. It was Boomer’s work as a US Army Explosive Ordnance Disposal technician that first earned him the notice of Joe at the Vatican Black Ops. Following a dishonorable discharge and conviction due to the Fireworks Incident (as Boomer calls it), the munitions expert was eager to join the Vatican in exchange for his early release from prison. Joe helped rein in this loose cannon, while providing the explosion enthusiast with ample opportunity to make things go boom. Boomer, modeled after actor/filmmaker Rob Dimension, joins the cast of EFJI in Episode 2, Invasive Species… on sale now!